Despite not bagging an award, MNL48 thanked their fans for their support on “Dalawang Pag-ibig Niya” during the Himig Handog 2018 finals at ASAP on November 11, 2018. Himig Handog awarded Kyle Raphael Borbon as the grand winner for his song “Sa Mga Bituin Na Lang Ibubulong” interpreted by Jason Dy, on behalf of JM de Guzman, taking home Php 1 million. For 2nd Best Song, Himig Handog named “Wakasan”, and won Php 500,000. For the 3rd Best Song, “Kababata”; 4th Best Song “Mas Mabuti Pa”; 5th Best Song “Tinatapos Ko Na” and won Php 200,000, Php 150,000, and Php 100,000, respectively. This year’s Himig Handog, with a theme “Love Songs and Love Stories”, was the first competition joined by MNL48 as one of the interpreters together with “Your Face Sounds Familiar Kids” season 2 contestants Krystal Brimner and Sheena Belarmino. During their guesting on ASAP Chillout, Center Girl Sheki shared that it was her first time to rap in a music video. “Kumakanta lang po ako tapos nagulat din po ako na naging rapper po ako [sa music video].” Moreover, she also sung a portion of “Umiindak na Saya” from their debut album showing off her angelic vocals skills and accompanied by fellow MNL48 member Lara’s beatboxing talent. On behalf of the MNL48, Sheki is still thankful for their fans’ support especially now that their debut album “Aitakatta – Gustong Makita” has been release, topping the music charts. On the same day, MNL48 Senbatsu headed over to their mall show at VistaMall Daang Hari to promote their debut album and perform their songs to their fans. 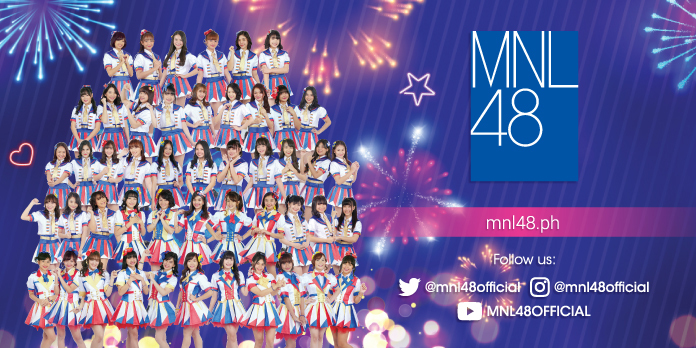 Follow the official MNL48 website and social media accounts to get the latest updates and news.